Hello! I am a four year old short haired pointer mix. My family rescued me from the Fayette County Humane Society three years ago. I love children, babies and every two-legged person. 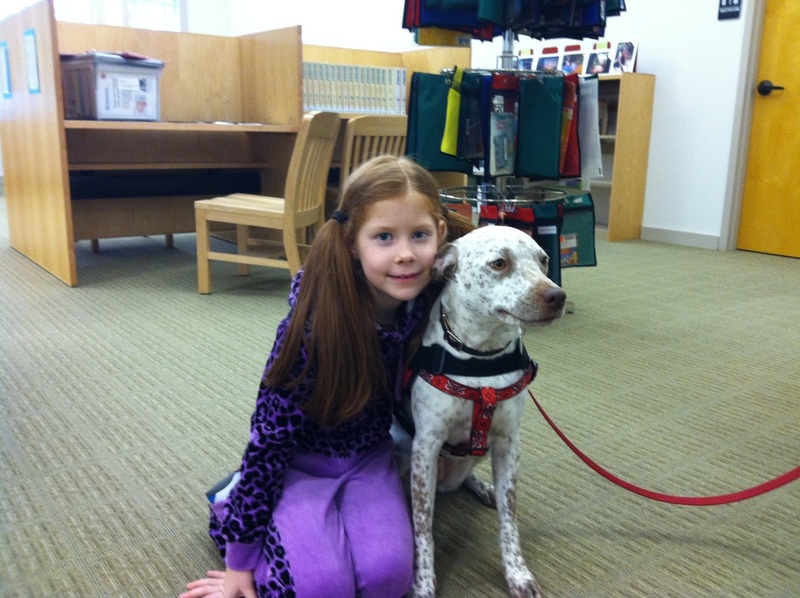 I am so happy that I smile and wag my tail when I go to the library for children to read to me. I can hardly wait to say hello to every baby and child I meet! It doesn't matter if there are many or just one, I only want to be with them. I am a registered therapy dog with Therapy Dogs, Inc. and a Reading Education Assistance Dog. I also like to go to nursing homes as there, I get lots of scratches, belly rubs and everyone is so happy to see me.